Democracy, prosperity and self-rule, this was the vision of African independence. Across the continent, however, the 'optimism' that characterized the immediate post-independence period has largely faded. Meanwhile, ordinary Africans lurch between undemocratic, unaccountable and unresponsive governments and a decaying traditional African past. How did things go so wrong? Why has the continent lagged behind others in economic development despite its potential natural resources? Why are so many African states prone to conflict? And why has democracy been slow to take root in a majority of the countries? Covering everything from African economies to the role of the state, rural livelihoods to issues of gender, 'Politics in Africa' offers a fresh perspective in answering these questions, making the continent's problems more understandable, less wretched and even intensely hopeful. 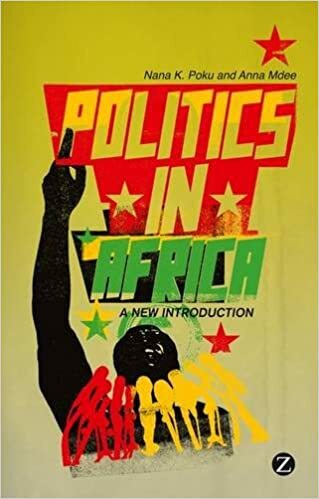 Up-to-date, concise and provocative, this is indispensable reading for anyone interested in African politics.